Denmark is still standing despite the ongoing visit of ‘Dmitry Donskoj’, the world’s largest nuclear submarine, which is expected to pass under the Great Belt Bridge linking Zealand to Funen on Saturday. 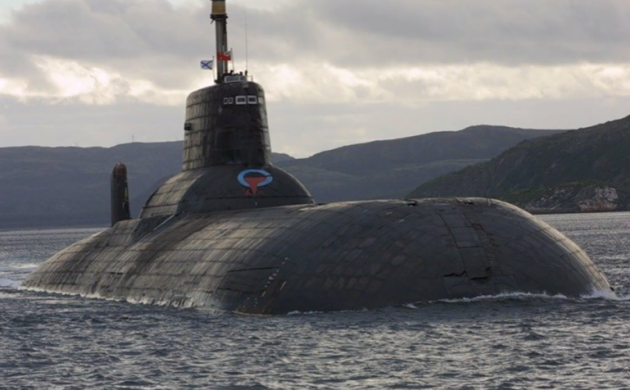 The 172 metre-long Russian sub, together with the atomic-powered ‘Pjotr ​​Velikij’ and two other naval vessels, are on their way to a Chinese-Russian training exercise in the Baltic Sea. Some observers have described the sail-past as military posturing. A quarter of employed people in Denmark have part-time jobs and one in five have more than one job, according to new research by a team at the University of Copenhagen. Of those on part-time jobs, around half are either on zero-hour contract or work fewer than 15 hours a week – students, who are often prevented from working more, account for a half of all such jobs. Part-time jobs are most prevalent in the cleaning, hotel, retail, customer service, and food and drink sectors. Tenants organisation Lejernes Landsorganisation (LLO) has said tenants often have themselves to blame if rent prices shoot up, as there are enough tenancy meetings to ask critical questions and also a housing appeals board, Huslejenævnet, to voice complaints to, reports DR. Rent prices have increased by 30 percent in the last decade, according to Danmarks Statistik, compared to a 17 percent general rise in consumer prices. Complaints to Huslejenævnet last year fell from 5,000 to 3,500. Copenhagen Police has established a visitation zone covering troubled urban areas spanning parts of Nørrebro, Husum, Brønshøj and Tingbjerg due to escalating gang activity. The zone gives officers the right to stop and search anyone they like. Normally, searches can only be conducted if there are grounds for suspicion. It will remain in place until August 3. A Dane was hospitalised after an earthquake with a strength of 6.7 on the Richter Scale struck 16 kilometres east of the Greek island of Kos in the early hours of Friday morning. At least two people were killed by falling debris on the Dodecanese island in the Aegean Sea, a popular destination with tourists. Two men have been arrested under suspicion that they robbed and caused the death of a 93-year-old woman in May in the east Jutland town of Horsens. The woman eventually died on June 20 after failing to recover from head injuries sustained in the incident.